Braveness comes in many forms. It can be a bold defiant act confronting fear which produces courage as I have done over the last years on my world solo adventure travels. I’ve paddled down the Amazon and the rapids of Idaho, faced wild animals in Africa and walked the drug infested streets of Third World Countries. But, I think what I am proudest of, was an act that to others may seem insignificant. It was how I choose to say goodbye to my aging dog – straight on, not allowing someone else do the hard stuff. 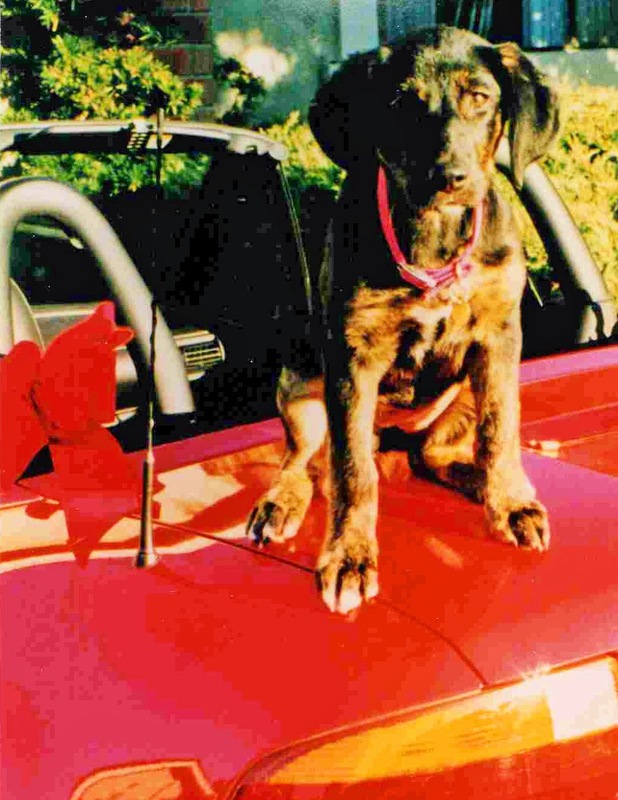 Tasha was my companion for thirteen years. She had been though the best and the worst times of that period of my life. A rescue dog, I choose this 3 month old Lab/Rottweiler/and who knows what other lineage, because of her story and her actions. Her mom was homeless and wandered the streets pregnant with 12 pups, giving birth when a kind woman realized her plight and made a comfortable birth nest for her. I fell in love at that moment with an alpha puppy who curled up on my lap as we drove home – never expecting to have adopted one that day and no provisions to welcome her home. She had a definite effect on my life from the start. I did crazy things like deciding to work less managing a part-time schedule – just to stay home with my doggie. I declined social engagements just to hurry home to be with her after leaving the pup for my work day. I rejected my fanatical technical reading required to “get ahead” in my position. I even stopped all my shopping expeditions that at one time seemed so important, to be with my Tasha. I had found a level plane ignored in the past. Instead, I delved into insane pursuits. I bought an old beat-up Mazda ’84 truck. I hated trucks. It was bashed up, filthy inside and out with paint chipping, a hole where the radio had been cut out and ignition switch torn from the dashboard. But, I knew Tasha would grow (oh yes, to a surprising 100 pounds) and my two seat sports car wouldn’t work much longer for the new us. On and on…..not only did I put this truck on my credit card when I shouldn’t have, but I started a campaign to “repair” the junk heap. I sprayed paint on the outside with cans of enamel (tip – that doesn’t work). I fixed the heater finding screws and spicing wires with no idea where they might go. I cut my finger to the bone and with a 1/2” slice of open flesh as I tried to jimmy a hydraulic hinge to open my door; I was into woman restoration. If only my Daddy had taught his girl auto mechanics. Tasha was tied a few feet away, interested in other things as I plunged into repair – woman power! To my amazement she loved the old, grungy truck. She’d lie on the seat I had layered carpet to protect her from the protruding springs. She didn’t even try to escape when the door opened, she knew it was HERS. My attitude about those driving trucks shifted; I smiled now at construction people, gardeners and those in the trades. We were one with our dogs hanging out the windows panting. I now saw Silicon Valley professionals as snobs. People who wasted their lives trying to achieve things that didn’t matter – lifeless blobs (maybe a bit obsessed– but right for this time in my life). I took Tasha everywhere, and she patiently waited in her truck while I stopped and did my life. It was a real contrast to her feistiness when I previously returned after long days at work and she puppy raged for 3 hours before finally falling exhausted asleep on my warm lap. Looking back – it was all worth it, she my constant supporter for years, she changed the course of my life. She lived through long days at my demanding jobs in the beginning and my coming and going of boyfriends comforting me as tears flowed when each relationship was over. She even survived our numerous camp trips, which for some unknown reason, she hated. Possibly it was the nights in our tent at sub-zero temps or the cries of wild animals in the black. She saw my full emotions – crying, laughing, depression, elation. Ever steady she held me with her mind and eyes in calm repose. Soon I realized we needed a different environment from our big city and moved to a small mountain town in Idaho where she could roam. She then had to put up with the loss of us when I left many times for lengthy international travels but always welcomed me home, forgiving my absence. Aging, she could barely stand due to her increasing dysplasia. She’d trip on her favorite red ball; fear in her eyes as she spread eagle and was not able to get up. I’d rush to her as she rolled over and over, in horror trying to regain her composure, then resolved, waiting for my rescue. I tried to make light of the situation with an upbeat tone to reassure her and moved yet one more rug under her body for traction. She seemed to look into my encouraging eyes, doubting, then finding hope but I knew there was a decision to be made soon– not for me (I wanted to keep her alive as long as possible), but what was best for Tasha. I wanted her to die with dignity. Toward the end, in pain, she whimpered. Her sad amber eyes seemed to be pleading with me. She would shake, not eat and finally not drink. Her weight had dropped 25%. The last three days before the veterinary appointment to end her life, were surprising days of joy – a time of giving and receiving. I cried, she felt. I built a home of warm glow for her, our last fires together, a buffer against the winter chill. I gave her special treats, scraps if she’d take a bit, laden the house with rugs, and took her on walks she loved when she could stand for a short while. It was a very close sharing time for us. For those days, I only stayed home to be by her side. I slept next to her on the floor when she couldn’t stand; my body wrapped her in a cocoon of love and warmth. My final decision to give her that dignity, rob her of pain and suffering, was one that I thought she would concur. Her end was here and now as she no longer ate or drank. 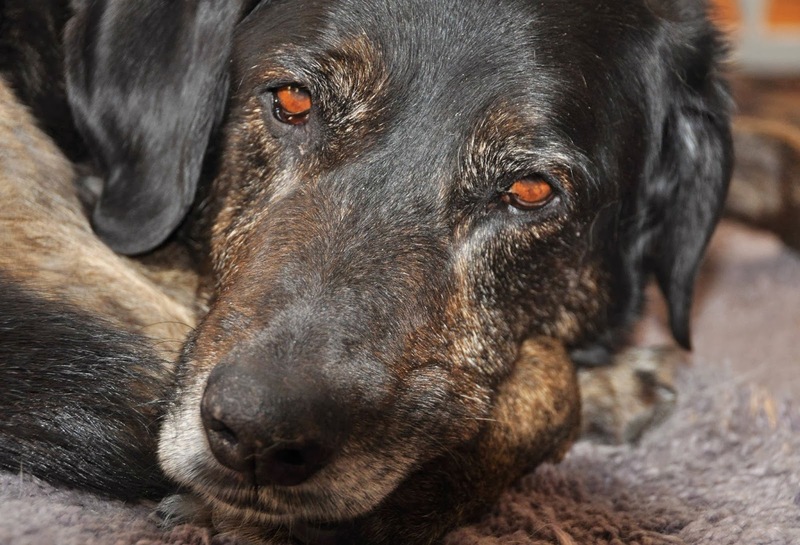 The day I euthanized my pet, was the most difficult challenge of my life. I had not been able to accompany my last dog, Sunshine, into the room where she was put down for fear I might cry uncontrollably, embarrass myself, feel too much pain. But this dog had given me so much in life, I owed it to her to be brave and comfort her in the last moments of life. Two nights later I felt a need to get out of bed in my jammies and walk in the black blizzard. It was a path we’d taken when she was able to go a bit further though the woods and trees. I talked to her on our path one last time, told her I loved her and would now release her to go play up in doggie heaven and chase a fox. It would be her time to romp forward to another world. I may have been her guide and her enabler for that journey, but she was mine helping me become a braver, more courageous person.